Why Should You Schedule an Eye Exam? Many people who do not experience vision issues wonder why they would ever need to step foot in an optometrist’s office. Everyone can reap the benefits of routine eye care regardless of age or vision condition. Even with perfect vision, eye care is very important. Yearly comprehensive exams with an optometrist can give you a better picture of your overall health, and help you protect your eyesight. The Optomap retinal health screening has revolutionized the way we diagnose ocular and systemic diseases. This new imaging technology allows our doctors to take high definition images of the entire retina. The image captures details about the retina that could show early indicators for both eye and systemic diseases, such as macular degeneration, glaucoma, diabetes, cancer, stroke, high blood pressure, and cardiovascular disease. The Optomap scan is fast, painless, and comfortable. In most cases, the Optomap screening replaces dilation! When patients visit our office, we take pride in creating a wonderful experience. We make it a priority to keep waiting times at a minimum because we understand how tight schedules can be. Our waiting area and exam rooms are designed to make our patients feel comfortable and relaxed. 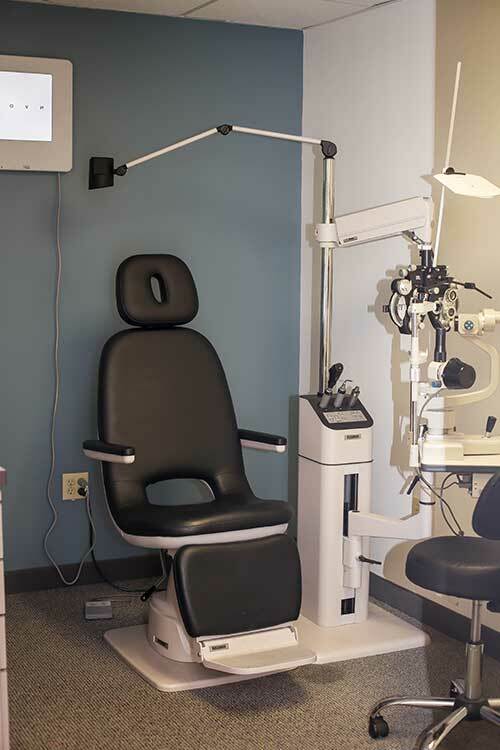 The advanced technology used by Dr. Crader prevents discomfort and makes the eye care experience enjoyable. As an added benefit, we encourage strong doctor/patient relationships. Your doctor will get to know you and your eyes personally while paying attention to your individual needs. Dr. Crader is friendly and down to earth. He always wants what is best for our patients and wants to make sure you understand everything about your eyes and his recommendations for you. Signing up and scheduling is easy with our new patient form and appointment scheduling available online. Take a stand for your health and make an appointment today! Previous PostPrevious Buy One Pair of Glasses and Get Your Second Pair of Frames Free! Next PostNext Browse Our Frames From the Comfort of Your Couch!